Vegan pesto is one of my favorite recipes when I find fresh organic basil at the farmers market. 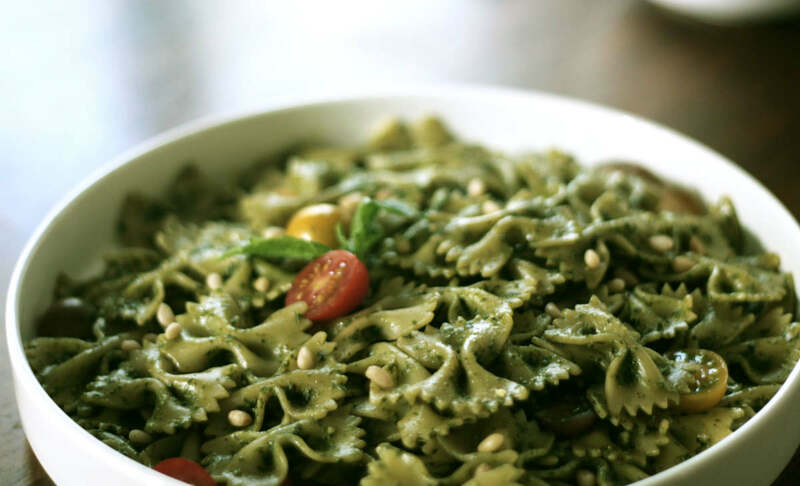 Pesto on pasta is fresh, flavorful, light and easy Italian classic, not to mention, quick without much preparation. You can serve this as a side or as a main meal.